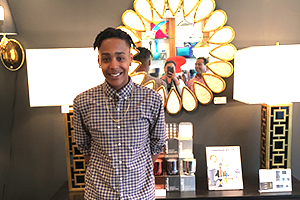 Workforce Development connects job seekers in San Francisco, who are unemployed, under-employed or have barriers to employment, with employment opportunities in growing industries. The Office of Economic and Workforce Development (OEWD) provides training and resources and secures long-term opportunities to serve the workforce community across various sectors that are aligned with industry growth and demands. 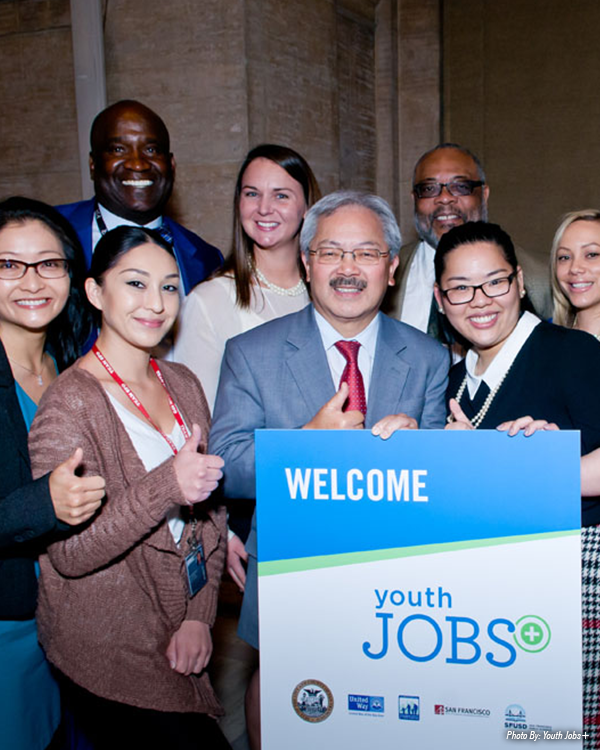 Through job training programs, job seeker services, employer services and youth services, OEWD works collaboratively with our community partners to ensure that San Francisco has a qualified workforce that attracts, retains and expands industries, while enhancing the quality of life in the City. Since 2010, the City’s workforce system has undergone transformation and change. In 2008, the City and entire nation plunged into the great recession. OEWD rose to the challenge and secured funding through millions in grants so that San Franciscans could return to work. Furthermore, OEWD programs have been refined and expanded to ensure our most underserved communities have access and job training opportunities needed to gain employment and excel in positions thereafter. OEWD is committed to working with community based organizations, employers, partners and other stakeholders to identify opportunities for continuous improvement by better supporting businesses with recruitment practices and programs for job training readiness, placement, advancement and other job assistance for both adults and youth. San Francisco’s continued investment in workforce development programs allows all San Franciscans to share in the City’s prosperity by ensuring that local residents are well trained and well qualified for in-demand jobs with the greatest opportunity for growth. The City invests in job-driven training programs in key sectors such as construction, health care, hospitality, and technology. These sector-driven academies combine vocational training in growing fields with supportive services, job placement and post-placement support. Each academy’s curriculum is developed in concert with industry partners to ensure that training is aligned to meet today’s job needs and that program graduates are ready to work immediately. In addition to job training programs, the City invests in community-based Access Points to provide local residents with a seamless array of workforce services designed to assist job seekers with attaining employment opportunities that will ultimately lead to self-sufficiency. People served represents the number of participants enrolled in a myriad of workforce services that will ultimately lead to self sufficiency. 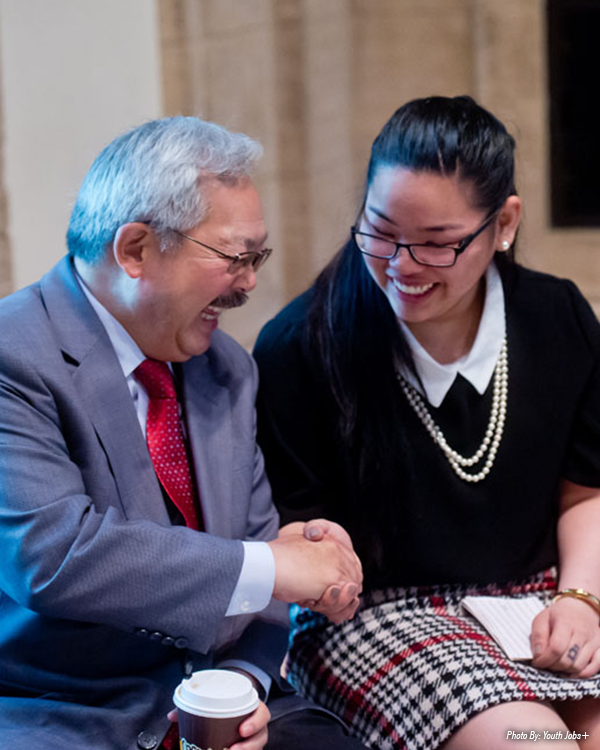 The Office of Economic and Workforce Development’s (OEWD) no-cost Business Services support the long term prosperity of both workers and employers in San Francisco. to attract, grow and retain a diverse workforce. 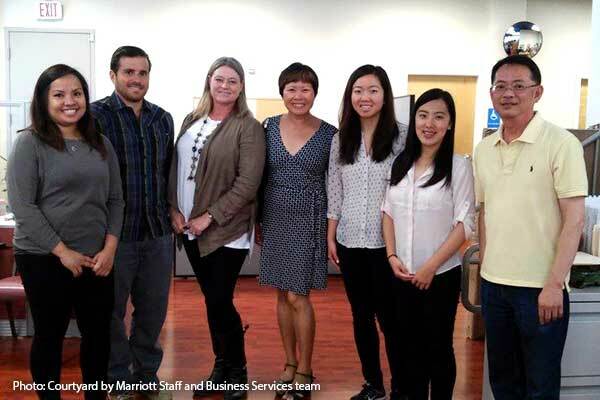 Photo: Rhea Victor, Food & Beverage Supervisor of Courtyard by Marriott San Francisco Union Square, Antonio Di Marco, Assistant General Manager of Courtyard by Marriott San Francisco Union Square, Sherrie Carreno, General Manager of Courtyard by Marriott San Francisco Union Square, May Ng, Business Services Specialist of Office of Economic and Workforce Development, Caroline Sou, Career Advisor of Chinatown Neighborhood Access Point, Lydia Ma, Career Advisor of Chinatown Neighborhood Access Point, and Stephen Cheng, Facilities Manager of Chinatown Neighborhood Access Point. 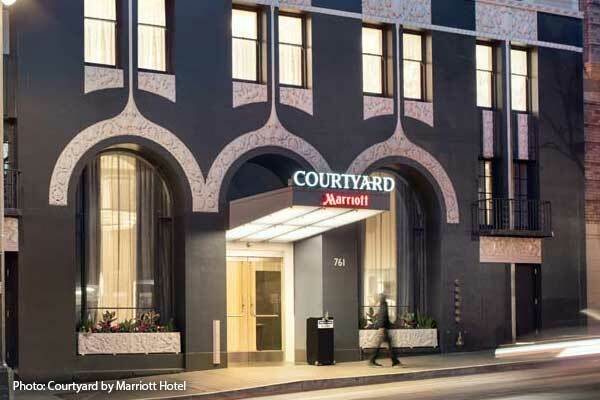 Following the renovation of its historic building in San Francisco’s downtown, the Courtyard by Marriott Hotel opened in Union Square in late 2015. As the hotel prepared to open their doors, the Courtyard by Marriott utilized OEWD’s staffing services to help fill entry level positions. 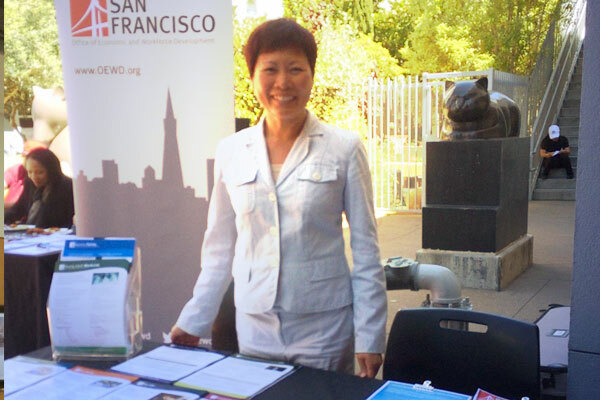 To meet their demand for talent, OEWD’s Business Services Unit partnered with its own Hospitality Initiative program to conduct outreach and recruitment, as well as the coordination of a hiring event in Chinatown in August 2015. Thanks to outreach, recruitment and the success of the hiring event, Courtyard by Marriott hired fourteen Housekeepers and Day Porters. Nearly one year later, over 90% of those employed have been retained in their positions. *These numbers are also reflected in the overall non-construction placements total. The Office of Economic and Workforce Development (OEWD) supports fifteen Neighborhood Access Points (NAPs) throughout the City and County of San Francisco that provide a seamless array of workforce services designed to assist job seekers in finding employment. NAPs provide services including career planning, job search assistance, interview preparation, training workshops, unemployment information, access to computers, and supportive services such as assistance with childcare and transportation. Providing more extensive services, the Comprehensive Access Point serves as a centralized entry point and resource referral services for the workforce system. Specialized Neighborhood Access Points (SNAPs) offer workforce services for immigrants, veterans, lesbian, bisexual, gay, transgender, queer/questioning (LGBTQ) community, and those with HIV/AIDS, mental health disabilities, hearing and communication challenges, and more. Funded by OEWD, The Western Addition Neighborhood Access Point provides job seekers with career planning assistance and job placement services. Their Employment Training Specialists are available to assist job seekers with their career exploration and planning by offering various assessment tools. Enrique had recently been paroled and heard about the services offered at the Western Addition Neighborhood Access Point from others that had worked with staff at the center. Enrique had no I-9 documentation and had no work clothes. The Employment Training Specialist assisted him with obtaining a copy of his birth certificate and a California ID card. Additionally, his Employment Specialist guided him in resume building and brushing up his interview skills. 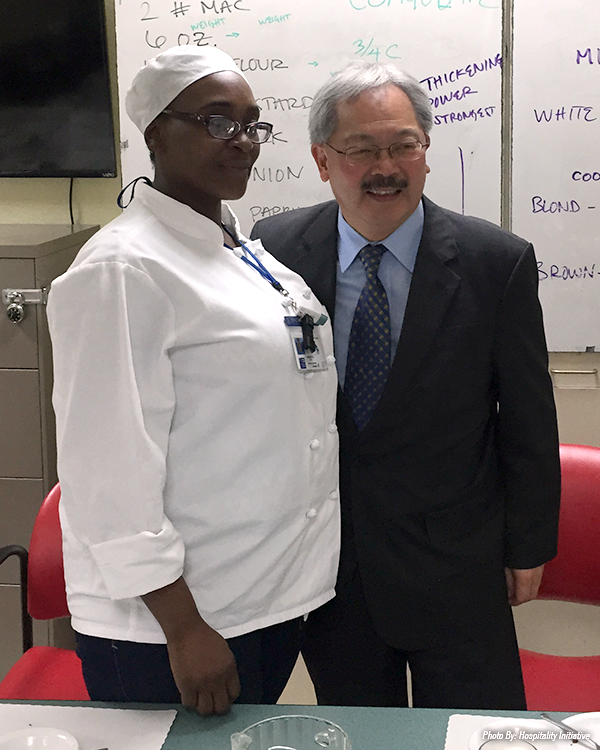 The center’s job developer team worked with the Golden Gate Restaurant Association to connect him with employment in the food services industry. After successful interviews, and through the support of the Western Addition Neighborhood Access Point, Enrique is now employed and is working for the Waterfront and Dabba restaurants. 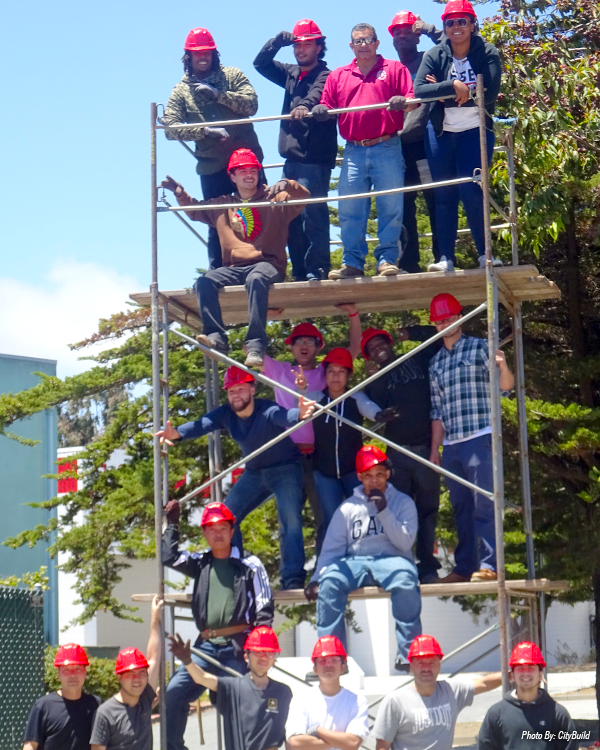 CityBuild Academy (CBA) works to meet the demands of the construction industry by providing comprehensive pre-apprenticeship and construction administration training to San Francisco residents. 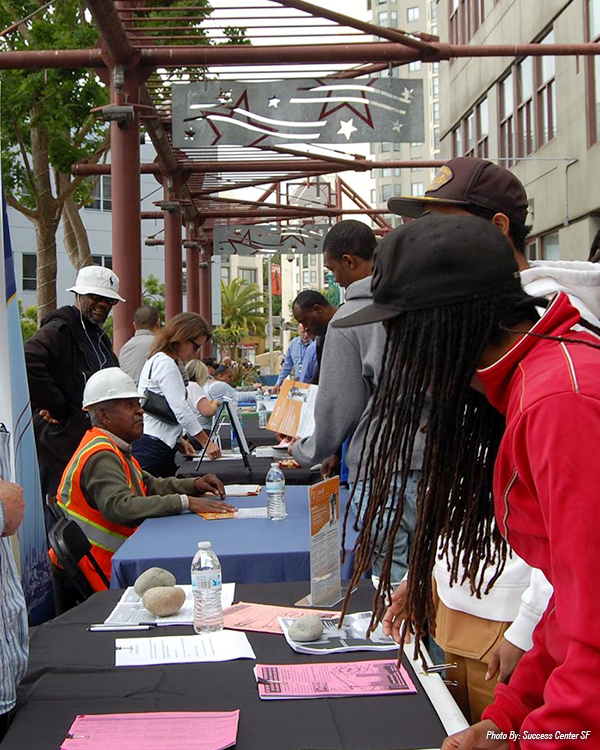 CityBuild began in 2006 as an effort to coordinate City-wide construction training and employment programs and is administered by the Office of Economic and Workforce Development (OEWD), in partnership with City College of San Francisco, various community non-profit organizations, labor unions, Apprenticeship programs and industry employers. 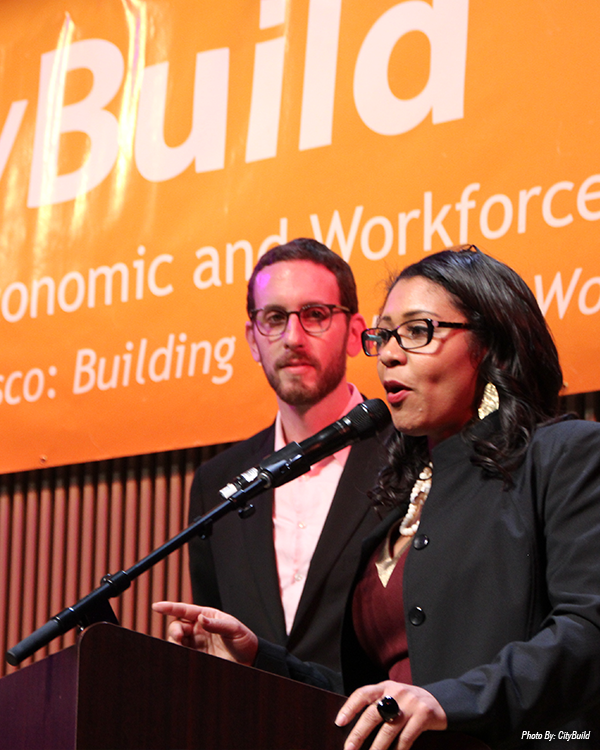 San Francisco residents can also take advantage of CityBuild’s Employment Networking Services for job referrals to open construction positions on active projects throughout the City and region. When the Local Hiring Policy for Construction was first introduced in 2011, San Francisco was confronting a global financial crisis and high unemployment rates. The Local Hire Policy promotes the utilization of resident hiring on locally sponsored construction projects, putting San Franciscans to work and reigniting investments into the City’s local economy. The local hiring requirement is currently 30% overall and 50% for hours worked by apprentices. The Office of Economic and Workforce Development (OEWD) is charged with administering this Policy and is responsible for providing a Local Hiring Annual Report to highlight trade performance data, identify workforce demographics and address priorities for the coming year. Christine Alpert, CityBuild Academy Cycle 8 worked as both a Laborer and Carpenter following her graduation of the Academy. She worked for several years as successful tradeswoman, before encountering family hardships which temporarily prevented her from working. With the support of her assigned Retention Case Managers at Charity Cultural Services Center and Anders and Anders Foundation, and with coordination from OEWD and other community partners, Christine was provided with the tools necessary to obtain a new position with Boldt as a Project Coordinator working on the California Pacific Medical Center Van Ness project. Christine was provided with coaching, interview preparation, and a professional wardrobe for her interview. 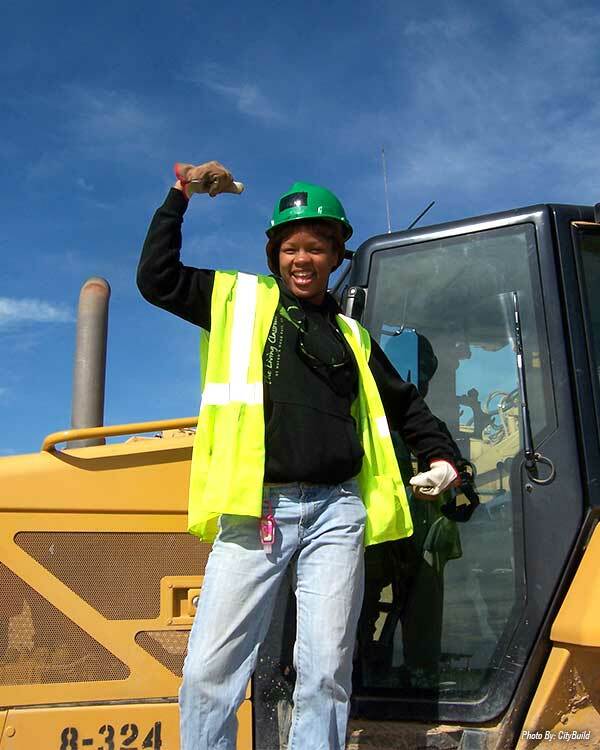 With the help of the CityBuild network, Christine was able to utilize her construction training and experience in a new capacity and move into a new phase in her career—one that works for her lifestyle and family. 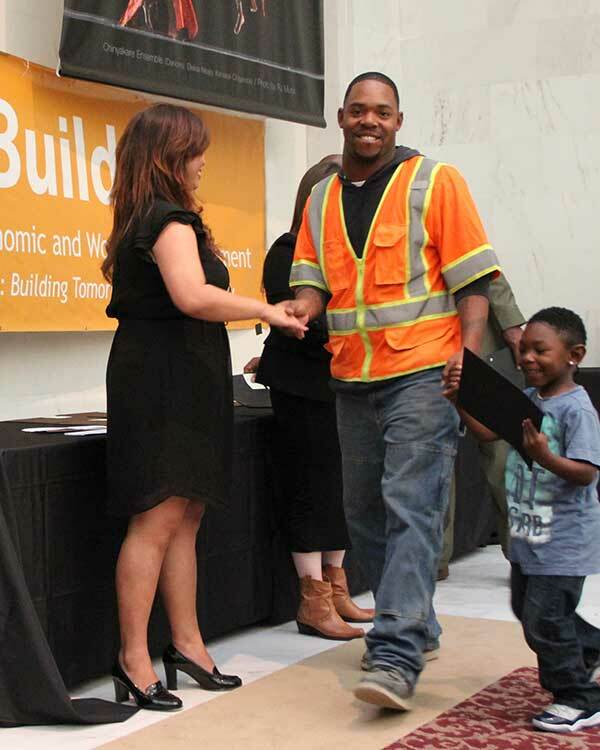 Marcus Conley, CityBuild Academy Cycle 22, struggled with outstanding barriers associated with his driver’s license, preventing him from being indentured into many local construction trade unions. Through a collaborative effort between OEWD and several community based organizations, including the A. Philip Randolph Institute and Young Community Developers, Marcus was provided with the funding needed to remove this barrier. Marcus demonstrated a level of personal and professional growth, committing to resolve his issues and complete the Academy’s 18-week training program. 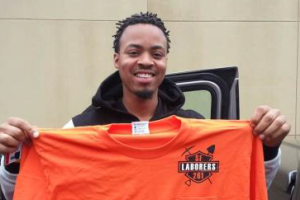 With a valid California Driver License, Marcus was indentured as a Drywall/Latherer with Local 68L and is currently working with California Drywall. 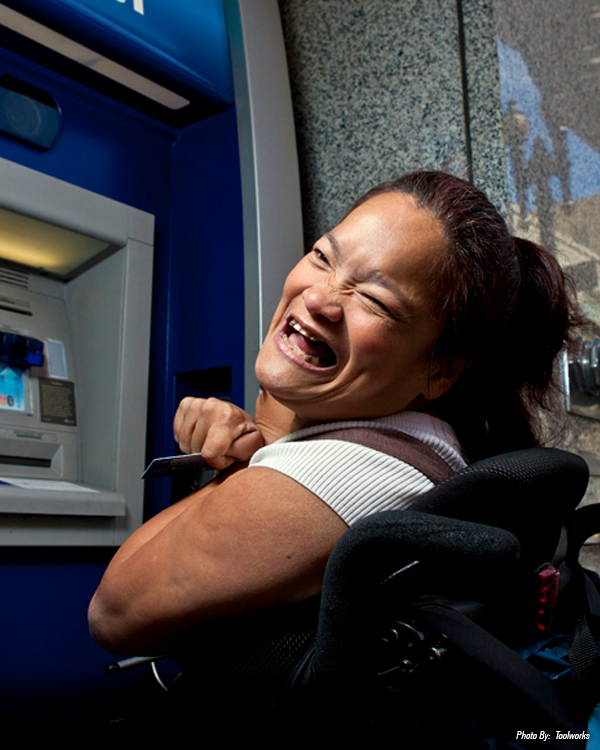 The Office of Economic and Workforce Development (OEWD) provides funding and program oversight of the Disability Employment Initiative (DEI). 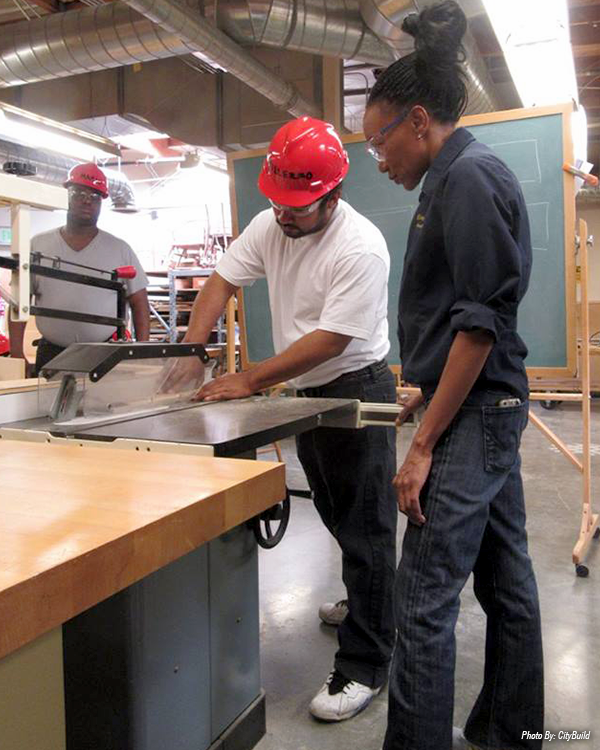 OEWD funds nonprofit provider Toolworks to prepare individuals for competitive jobs and create career pathways. 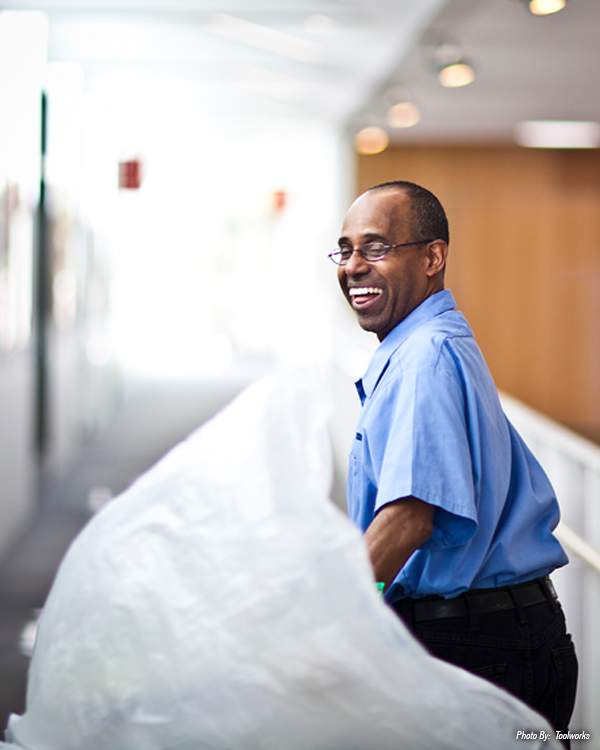 DEI provides education, training, and employment opportunities for adults with disabilities who are unemployed, underemployed, and/or receiving Social Security Disability benefits. 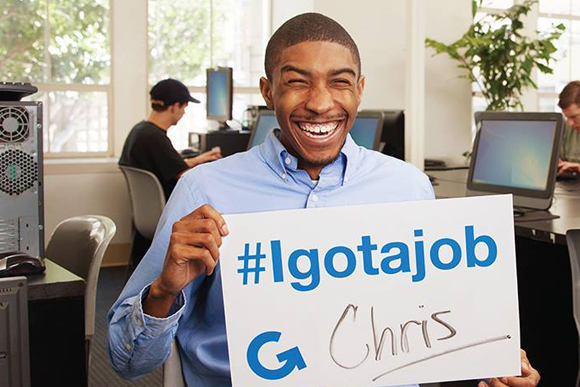 In December 2015, Jose started working with a job developer at Toolworks. Battling with homelessness and substance abuse problems, Jose began receiving services from Toolworks’ Aging and Adult Disability Resource Center (ADRC). 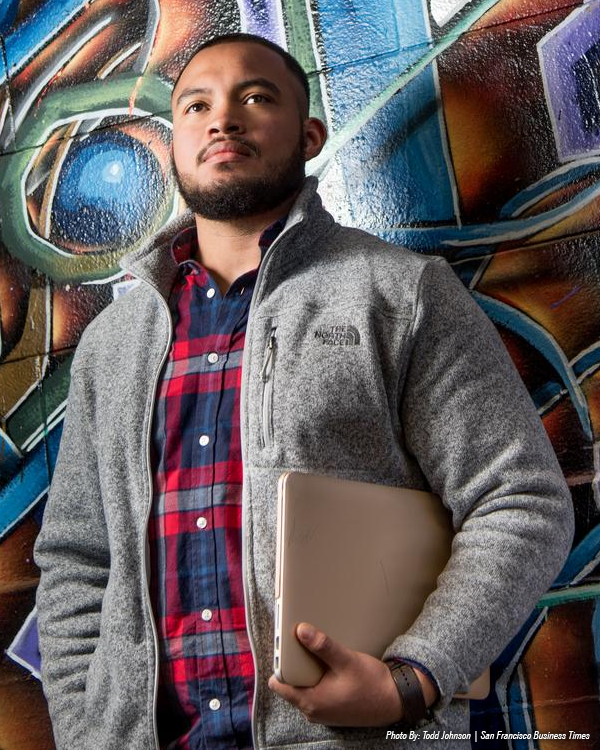 He was referred to substance abuse centers to start his recovery and in less than a month, Jose was offered a part-time job with Toolworks as a recycling sorter, earning $12.25 an hour. Toolworks provided Jose with job coaching services and support in time management, communication skills, and work ethic. Jose was later promoted and is currently working as a full time lead sorter, earning $14.00 an hour and full medical coverage. 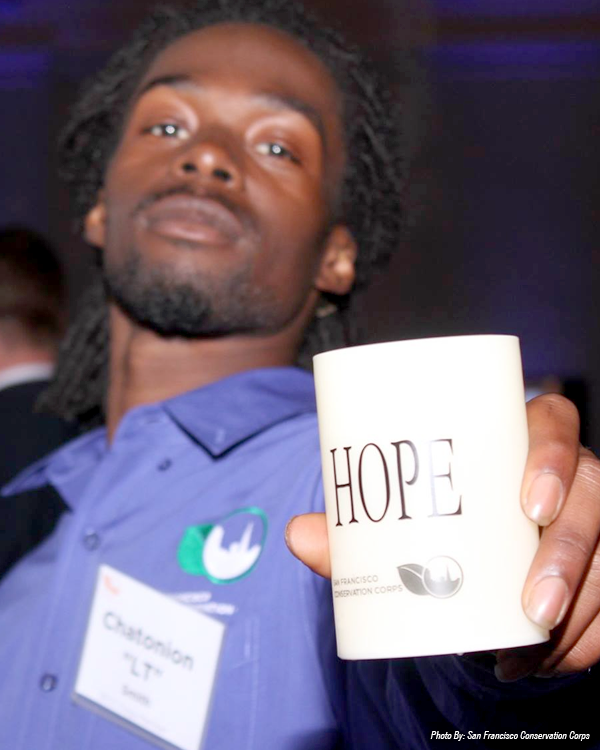 With the help of Toolwork’s ADRC, he has also obtained permanent housing and remains drug free. In partnership with industry, education and community partners, the HealthCare Academy is designed to improve the responsiveness of the workforce system to meet the demands of the growing industry. 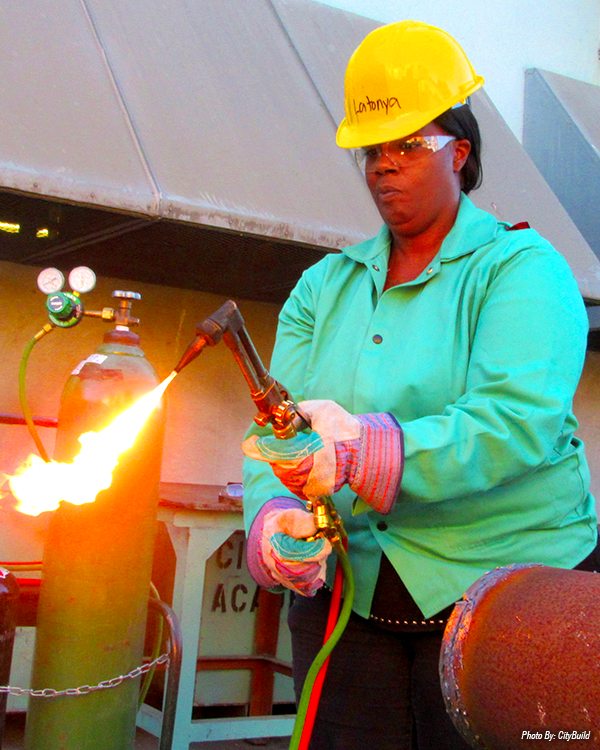 Through a dual customer approach, the Academy provides employers with skilled workers while expanding employment opportunities for local residents. 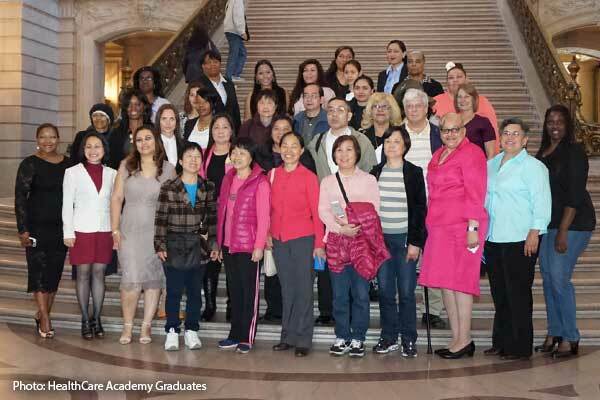 The Academy provides contextualized training in the following sub-sectors: Personal Care Giver, Home Health Aide, Certified Nurse Assistant, Medical Administrative Assistant, and Medical Assistant, as well as employment services for participants with prior work experience in the Health Care industry. The HealthCare Academy serves nearly 400 participants a year. Support services are integrated into programming to assure a seamless transition into employment. These services include: Vocational English as a Second Language program, tutoring, career counseling, case management, job readiness training, General Educational Development (GED) assistance, job placement assistance, retention services and other support services. Until the recession hit, Patricia Snoddy had a solid job. The San Francisco native and mother of three witnessed her office shut down piece by piece when operations—and her job—moved overseas. As a Navy veteran with over 25 years of work experience, Patricia was not worried about finding new employment, but three years passed and she continued to remain without a job. Determined and motivated, Patricia enrolled in the Office of Economic and Workforce Development’s HealthCare Academy to find a new beginning. 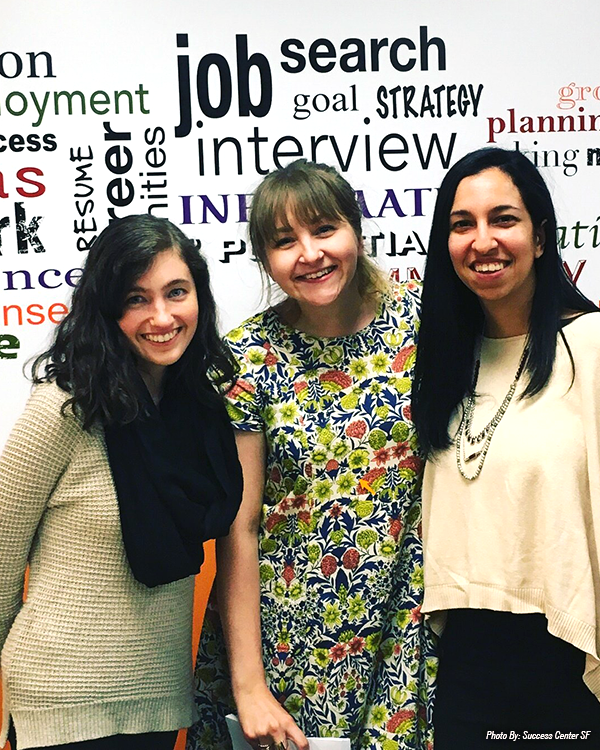 Jewish Vocational Service (JVS) provided a strong support system to Patricia as her job coach, advocate and connector. JVS facilitates key training and employment services for participants interested in joining the Health Care industry’s workforce. After attending an orientation, Patricia applied and participated in a four month long paid internship as an Administrative Assistant at University of California, San Francisco where she not only learned new skills, but built confidence and impressed her colleagues. A self-professed “slow and steady” learner, Patricia reinvented herself with strong determination and tenacity. Today, she is a proud Administrative Assistant III at Zuckerberg San Francisco General Hospital. The Office of Economic and Workforce Development (OEWD) has partnered with local hospitality industry employers, industry associations, unions and workforce education, training and service providers to coordinate the Hospitality Initiative, a sector program, which prepares participants for entry-level employment opportunities in guest services, food services, facilities and building maintenance and security. Job seekers are hired into diverse employment environments at hotels, restaurants, airports, cruise lines, events and conventions. 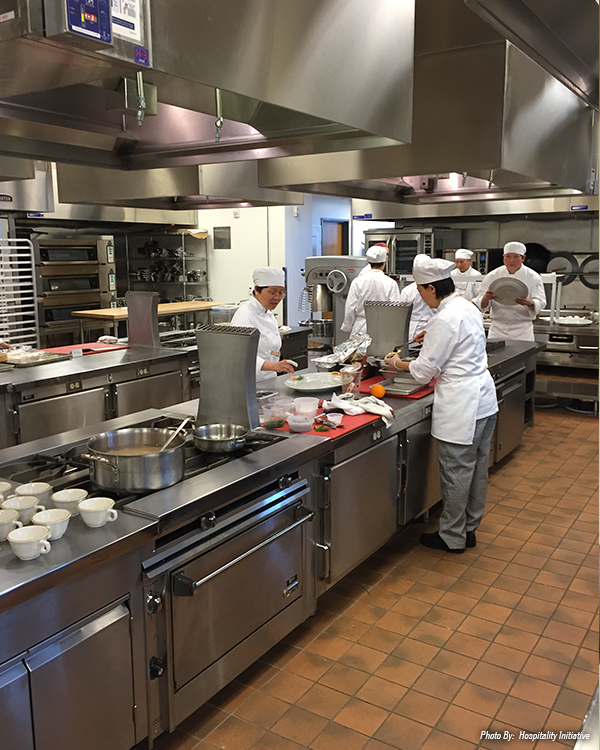 Through OEWD funding, the Hospitality Initiative serves over 800 participants a year, providing them with the essential training and employment resources to enter or advance in the Hospitality Industry. 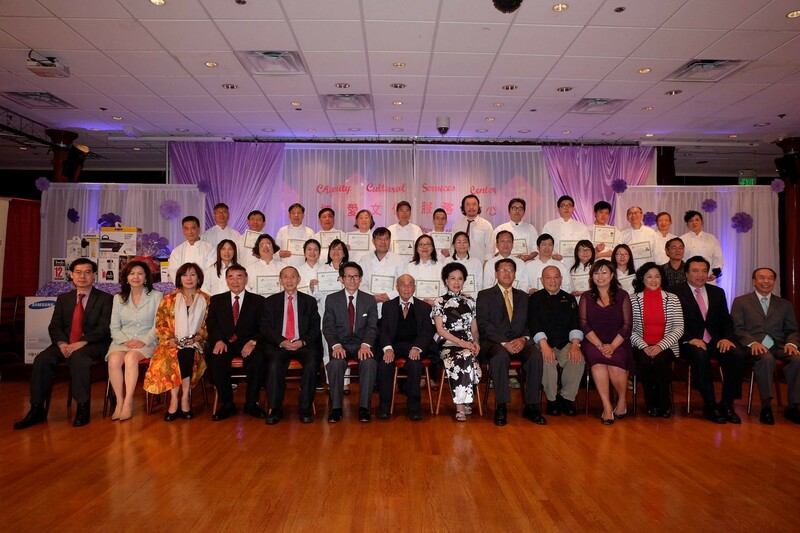 One of the many community based organizations the Hospitality Initiative partners with, Charity Cultural Services Center (CCSC), facilitates trainings in Chinese Cooking, Western Cooking, Bartending/Table Waiting for low-income and recent immigrants interested in starting a career path in the culinary field. Feeling unappreciated, underpaid, and unsatisfied with his previous work experience, Kwok Lou Lo worked as a kitchen helper in a small restaurant, which unfortunately went out of business and he found himself without a job. At the age of 60, he felt hopeless and desired a more substantial career path. He attended an orientation for OEWD’s Hospitality Initiative and decided to apply for the Chinese Cooking Training Class with CCSC. 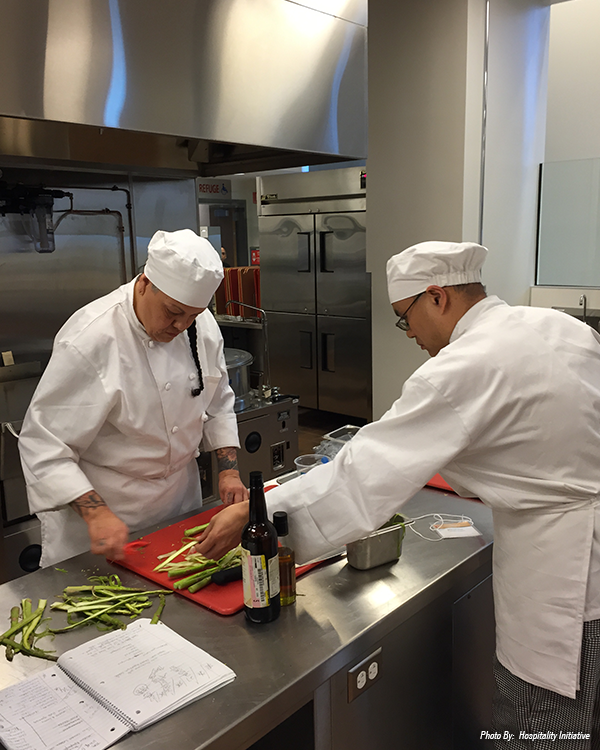 Throughout the training, Kwok Lou formed a support system with other students and gained the necessary skills to be successful in the kitchen. 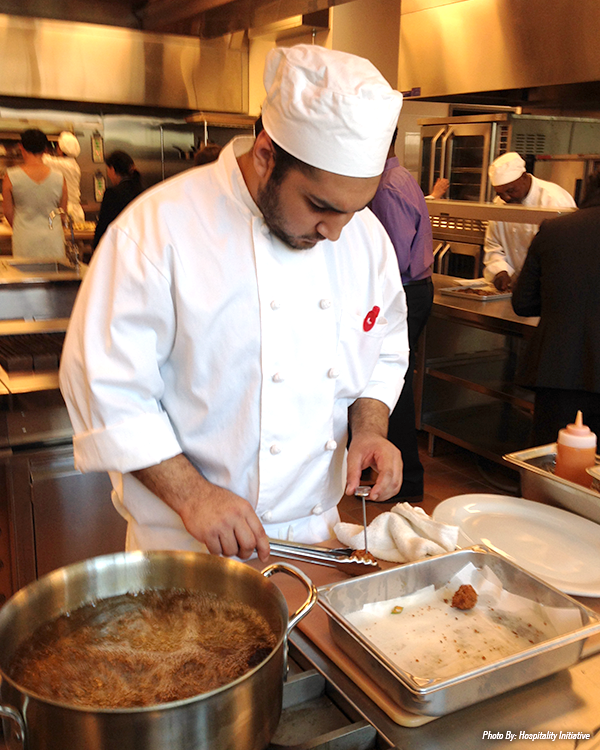 More importantly, he regained his confidence and self-esteem to prepare him for the culinary workforce. Upon successful completion of the program and assistance from CCSC staff, Kwok Lou was hired as a Kitchen Helper at Whole Foods Market’s Sushi Counter where he receives full benefits. 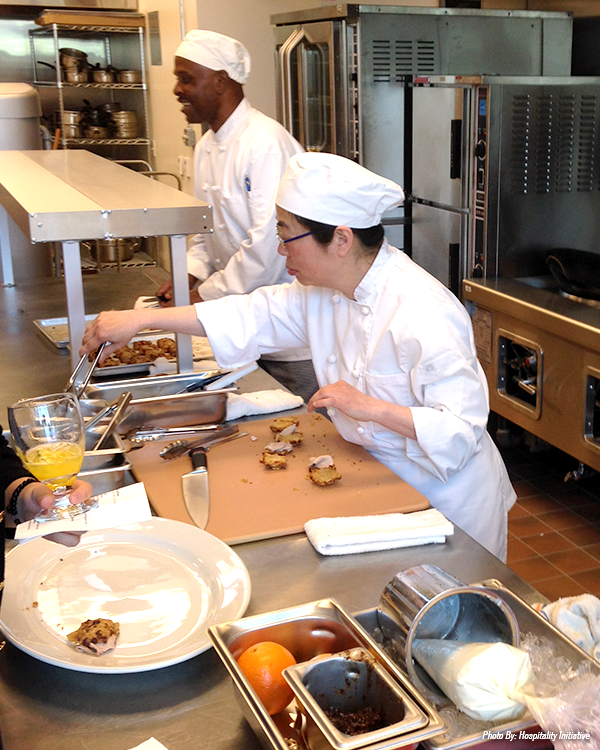 The Success Center SF partnered with San Francisco City College’s Culinary Arts & Hospitality Studies department, the Golden Gate Restaurant Association, restaurant 1300 on Fillmore, and the Office of Economic and Workforce Development. The District 5 Hospitality Boot Camp is a collaborative effort between the Office of Economic and Workforce Development (OEWD), City College of San Francisco, The Western Addition Neighborhood Access Point, Golden Gate Restaurant Association and 1300 Fillmore Restaurant with funding supported by Board of Supervisors’ President London Breed. Through this two-week hospitality training program, students gain front-of-house fundamental food services skills needed to obtain employment in the sector and were employed with restaurant partners including: Cheesecake Factory, California Pizza Kitchen, Michael Mina, Nopalito, Stinking Rose and Black Bark. The Office of Economic and Workforce Development (OEWD) provides funding and support to the Reentry Navigator. The Reentry Navigator is a resource for individuals with criminal backgrounds and provides one on one support and job search assistance. The Reentry Navigator program is led by Goodwill Industries with orientations throughout the Access Points. 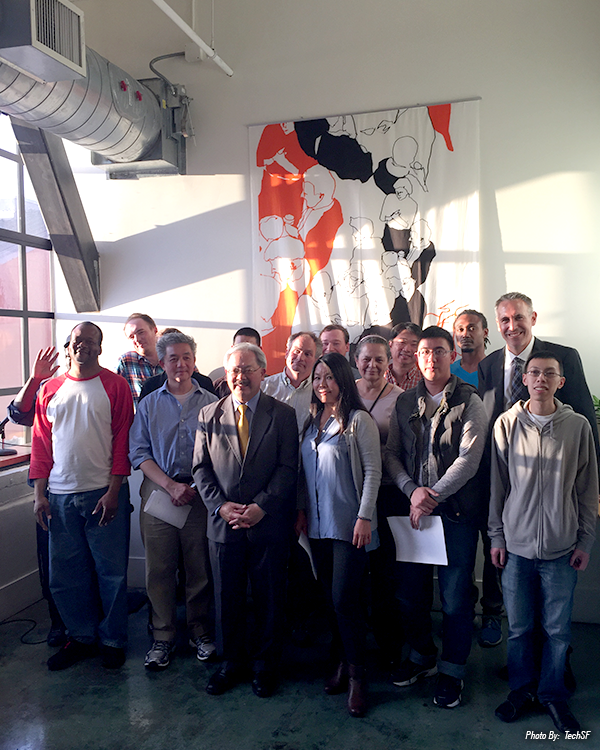 TechSF helps unemployed and underemployed residents in the Bay Area get get ahead in the technology industry. TechSF offers participants fully subsidized workshops and individual coaching sessions covering resume building and job search skills, as well as advanced tech training and connections to employers. 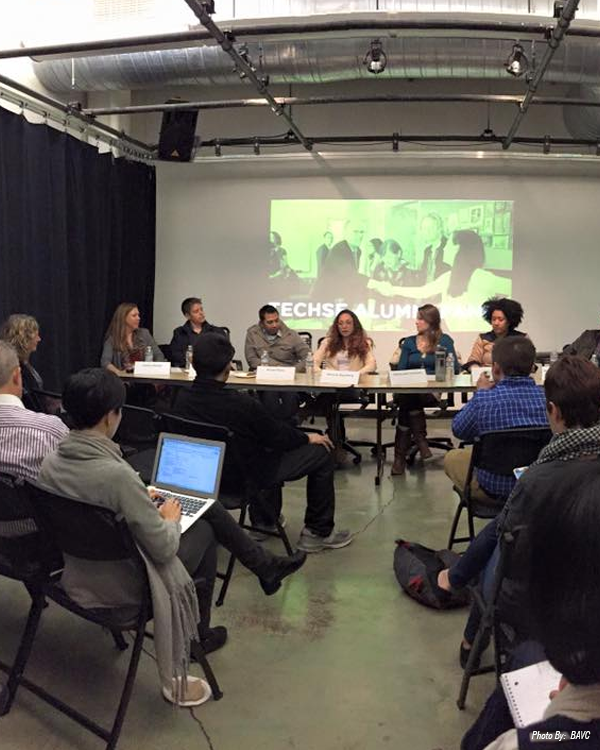 TechSF is offered in partnership with Academy X, Bay Area Video Coalition, Bayview Hunters Point Center for the Arts & Technology, City College of San Francisco, General Assembly, Mission Economic Development Agency, San Francisco State University, Treehouse Island, Udacity, Upwardly Global, and Year Up Bay Area. 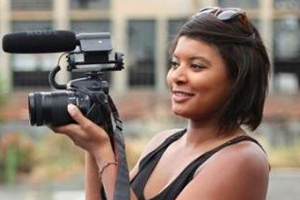 After suffering a work-related injury while on location for a digital media project over eight years ago, Ceddrick Jonae from San Francisco had been jobless for close to seven years. 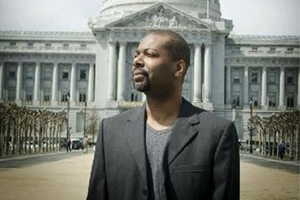 Ceddrick discovered the Office of Economic and Workforce Development’s (OEWD) TechSF Program through Bay Area Video Coalition (BAVC) and was accepted into the 2013 Desk Support track. With the A+ Certification that he earned, Ceddrick immediately found work as a lab technician at a prestigious art institution, while simultaneously interning at Comcast SportsNet Bay Area. He is now a Post-production Engineer at Apple in Cupertino. Jethro Patalinghug immigrated to the U.S. from the Philippines when he was 34 years old, leaving behind a career as a T.V. producer. 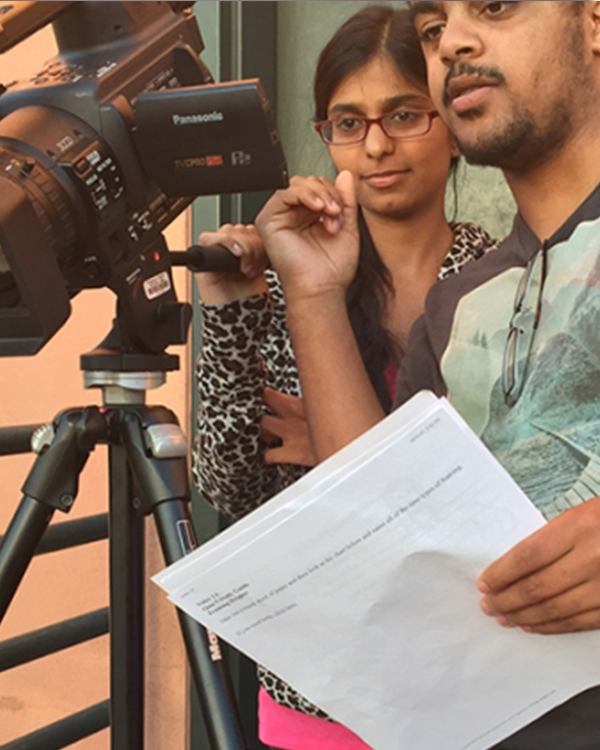 After finding out about the TechSF Program and attending an orientation, Jethro enrolled in TechSF’s Motion Graphics Certificate track at the Bay Area Video Coalition (BAVC), where he immersed himself in learning new skills. He created a community of support and connection. During the learning process, Jethro also completed an award-winning documentary film about his political activist mother. 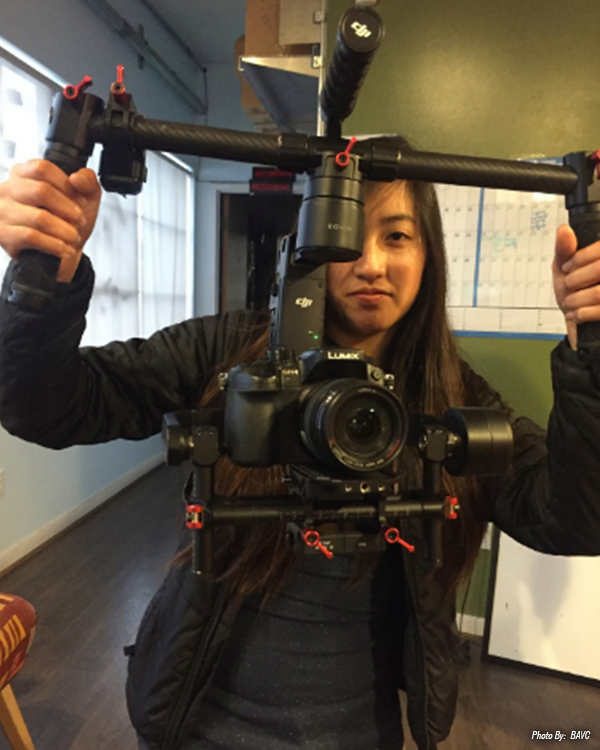 Today, Jethro is a full-time video producer at Google through Adecco, and is working on two new documentary films. 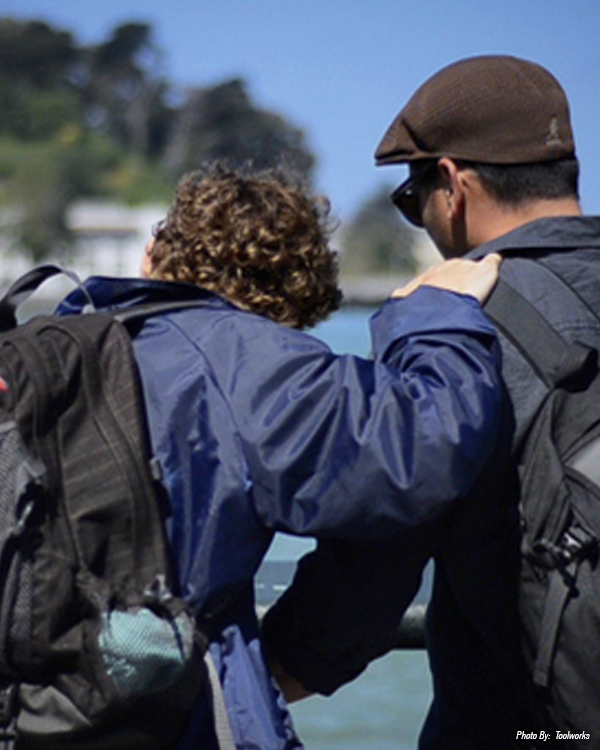 Nonprofit veteran service organization Swords to Plowshares provides wrap-around services to more than 3,000 veterans in the San Francisco Bay Area each year. Swords to Plowshares is committed to helping veterans break through the cultural, educational, psychological and economic barriers they often face in their transition to the civilian world. Working closely with OEWD, Swords to Plowshares operates the Veterans Neighborhood Access Point and offers employment events such as career fairs, employment spotlights and hiring events. 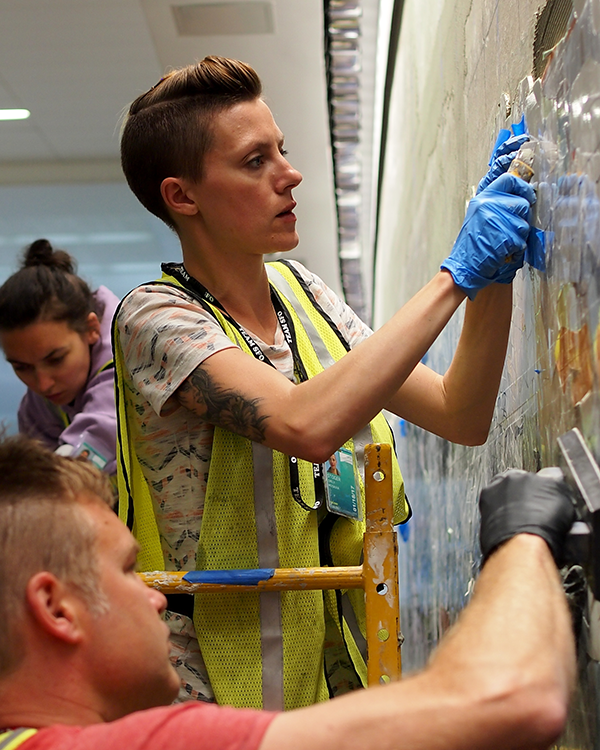 Swords to Plowshares focuses on matching job opportunities that lead to careers built upon each veteran’s skills, education and experience. *Over 73% of the San Francisco veterans seeking services have been placed so far into employment in various industries making an average wage of $16.87 per hour. 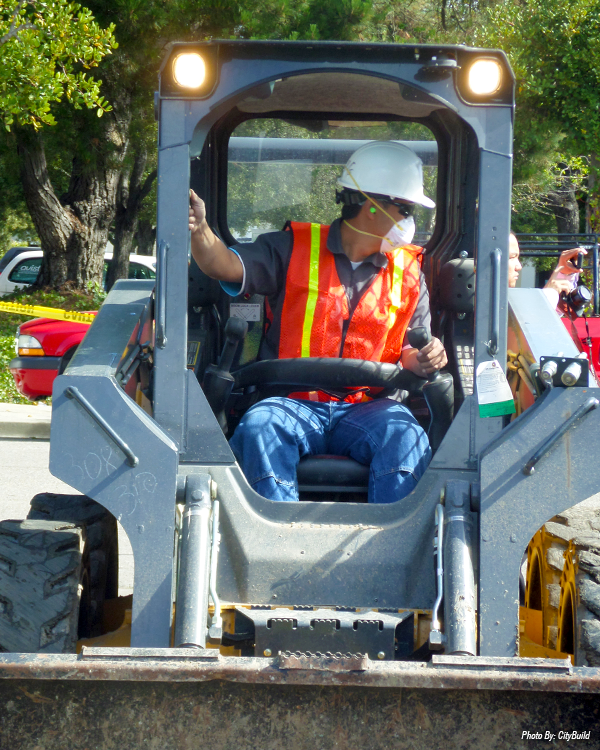 In partnership with PG&E, Swords veteran PG&E NACE – Gas Pipeline certification completed its third cohort training and all 19 are currently for working PG&E and earning $51 – $52 an hour. The top industries include: administrative support, construction, government, social services, transportation and warehousing. By building relationships with employers across various sectors, job seekers are provided with a stronger chance of finding a job that will be a match and keep them on the path toward individual success. OEWD builds partnerships across education and workforce systems to re-engage disconnected young adults aged 17-24 years old in education and work. Participants receive industry specific training in information technology, retail, and security, along with job search assistance, job preparation workshops, and internship opportunities with local businesses. 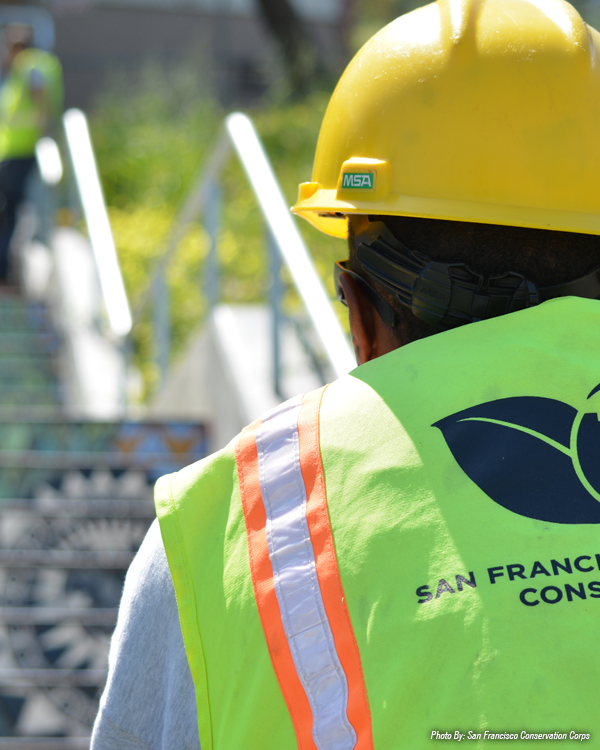 The San Francisco Conservation Corps (SFCC) is a non-profit job readiness, High School Diploma, and Career Development program serving young adults between the ages of 18 and 26 who work within crews to address community needs through service and conservation-related work. 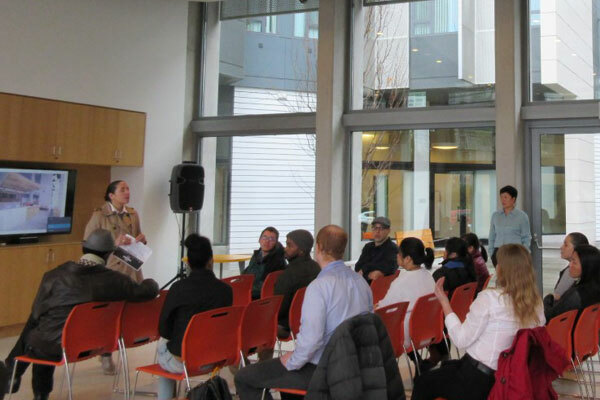 OEWD partners with SFCC in providing the Reconnecting All through Multiple Pathways (RAMP) program, a San Francisco Young Adult WorkLink Access Point. 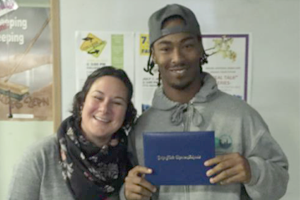 SFCC job readiness opportunities for young adults include, landscaping and open space restoration, recycling of beverage containers, electronic waste, dumping tires and used oil, and Zero Waste services for special events across San Francisco. Concurrently and in partnership with the John Muir Charter School, the young adults focus on attaining their High School Diploma or participate in the Corps-to-Career higher education program. Ulysses is a RAMP Participant, SFCC Pre-Apprentice Graduate, and Laborers’ Apprentice. Ulysses successfully obtained a clear and valid California Driver’s license which allowed him to meet the eligibility requirements to be an apprentice in the Laborers Union Local 261. Within a week of becoming a Laborers Apprentice, Ulysses was dispatched to a 2-year contract in San Francisco working at a SFMTA/MUNI property on Indiana Street and Cesar Chavez. 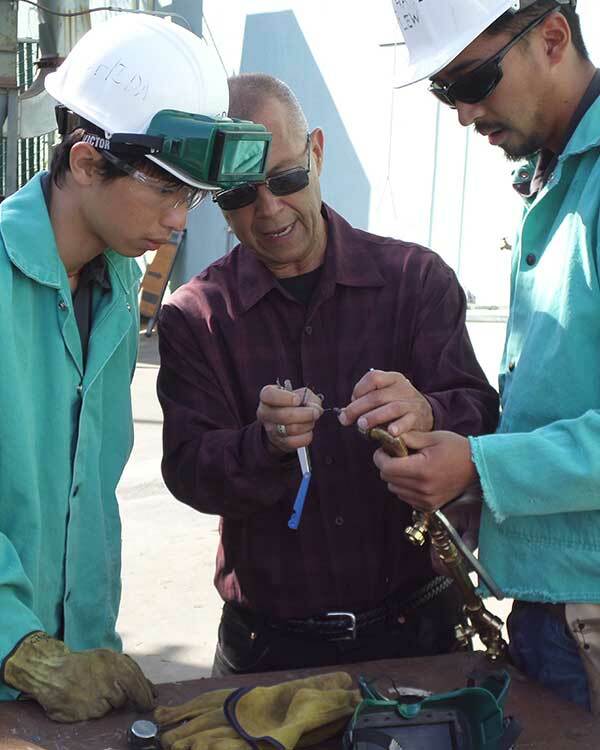 Designed to provide young adults with training and resources, OEWD’s Sector Bridge Programs allow our City’s young adult population to immerse themselves in the industry of their interest. OEWD partners with community organizations to provide entryways into sectors including information technology, hospitality, retail, and security. 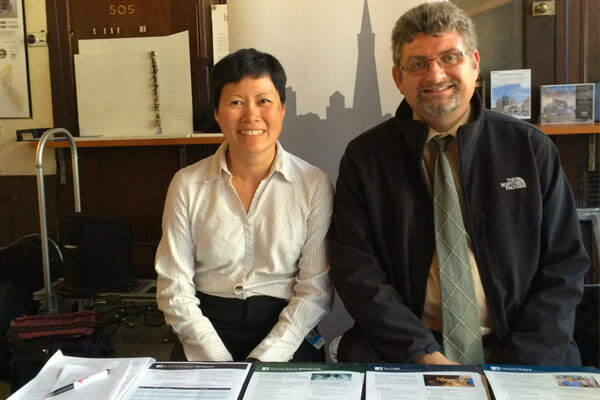 Mission Economic Development Agency (MEDA) is a community based organization located in San Francisco’s Mission District. Since 1973, MEDA has worked to improve economic and social conditions for San Francisco’s low- and moderate-income residents, with primarily Latino families as their target population and client base. In partnership with OEWD, MEDA offers programming that encourages our City’s youth to be empowered and involved in industries, such as tech. 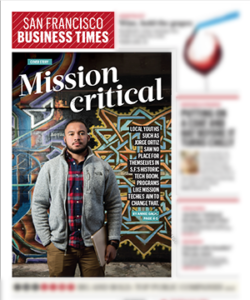 Through MEDA’s Mission Techies program, local youth Jorge Ortiz found an opportunity to be a part of the booming tech world in San Francisco. “Coming from a low-income community, I was never really exposed to [the tech industry]. I thought I wasn’t meant for school, plus I was working 40 hours per week. I thought you had to be a mathematician to do coding.” Today, Jorge is teaching HTML to other youth and continues his education in technology. Mayor’s Youth Jobs+ is a city-wide initiative put forth to help young adults ages 16-24, especially those with low-incomes or who are not engaged in employment or education, find meaningful work experiences to help them gain practical knowledge while developing skills essential to succeeding in today’s economy. More than 150 private sector employers (including companies like Starbucks, Target, FibroGen, LinkedIn, and Salesforce) along with over 60 nonprofits such as Japanese Community Youth Council (JCYC), Mission Economic Development Agency (MEDA), and Young Community Developers (YCD), joined over 50 City agencies to provide San Francisco youth with exciting opportunities. These opportunities offered valuable work experiences in general office work, arts, computer science, retail, banking, engineering, landscaping, and dozens of other fields. The Mayor’s Youth Jobs+ Initiative has evolved from the Summer Jobs+ Initiative launched 5 years ago to a year round endeavor. In 2015, nearly 8,000 work opportunities were provided. In total, more than 26,000 youth have been connected to work opportunities. 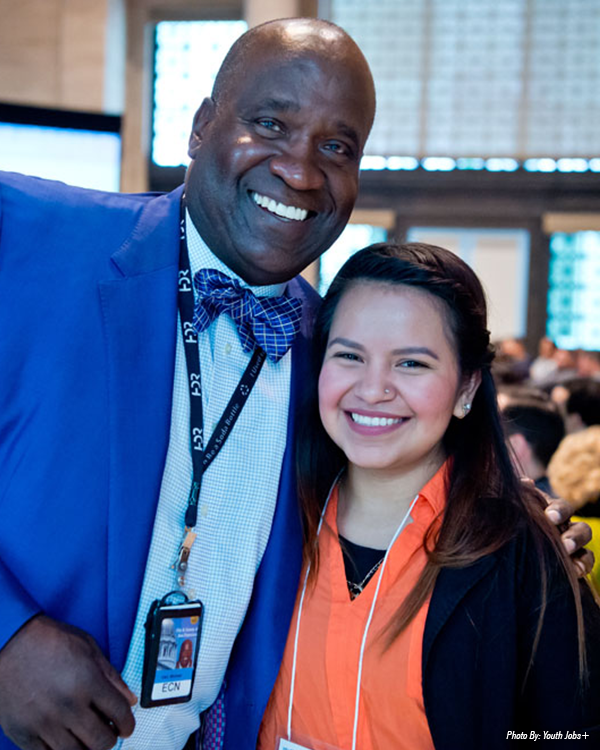 The Workforce Development Division coordinates the San Francisco Workforce Development System, which is a network of public, private, and nonprofit service providers that serve San Francisco job seekers and employers.